Fiesta De Mayo - A Cinco Celebration! The event you’ve all been waiting for, HALLOWEEN! 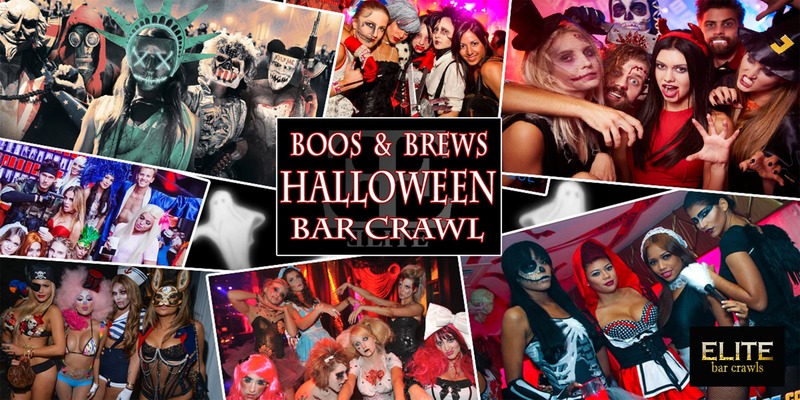 Get ready to put on your coolest, scariest or sexiest costume & join us for the event everyone will be talking about. This years Halloween Bar Crawl will feature the best venues in Power Plant Live & live performances by Lectro Raiders along with the top dj's from NYC. #NOTE:? WE HIGHLY ENCOURAGE ALL FANS TO COME EARLY 1PM. LAST CHECK-IN 3PM @ FRONT GATE BY THE FOUNTAIN:#NOTE: If you can't make it before, have a friend check you in. We just need your ticket. FAQ'S:WHAT IS THE DIFFERENCE BETWEEN "ELITE EARLY BIRD" Vs "ELITE TIX" Type?? Early Bird Elite tickets are Elite tickets given at a discounted price for a short period of time as a “Thank You” to those of you who decide to purchase early. DO YOU OFFER GROUP RATES?? Yes! If you have a group of 3+ please Facebook message m.me/EliteBarCrawls for up to 20% off discount. DOES EVERYONE RECEIVE A LED BRACELET? ? No! It's one LED bracelet each group. For any reason you bracelet stops working you can easily exchange it. You can always find an Elite staff by the entrance of each venue before 5PM.